With increasingly easier access to development tools and resources, it’s no wonder why we have seen an up rise in development teams across the globe. How can organisations help themselves by helping these teams? The answer is DevOps! DevOps is the combination of cultural philosophies, practices, and tools that increases an organisation’s ability to deliver applications and services at high velocity. DevOps allows teams to automate processes that were previously manual, complicated and slow. A team that has access to these types of resources is proven to deliver more. So watch out for the launch of our “Ultimate Developer Pack” which will include a collaborative software toolset. JetBrains TeamCity will be included in this Developer Pack - get a head start! Office365 fits the way you work today and tomorrow. 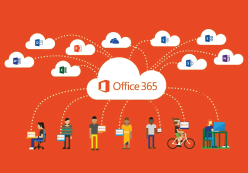 Beginning with Word, Excel, PowerPoint and Outlook, Office 365 provides all the familiar Office applications along with a dynamic set of secure cloud connected tools that help you communicate, collaborate and get more done. And it keeps itself up to date so you have the tools you need to do what you do best. 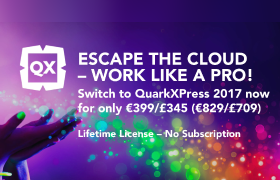 Attention InDesign, Photoshop, Creative Suite, Creative Cloud, CorelDraw and Microsoft Publisher Users: Save over 50% on QuarkXPress. For a limited time and for just £345 you can purchase a full new commercial license of QuarkXPress 2017. This saves £364! This saves £364! QuarkXPress is the leading graphic design and page layout software for creative professionals. This offer is valid until 31st December 2017. Click here to unsubscribe from [*info.project_name*] updates.